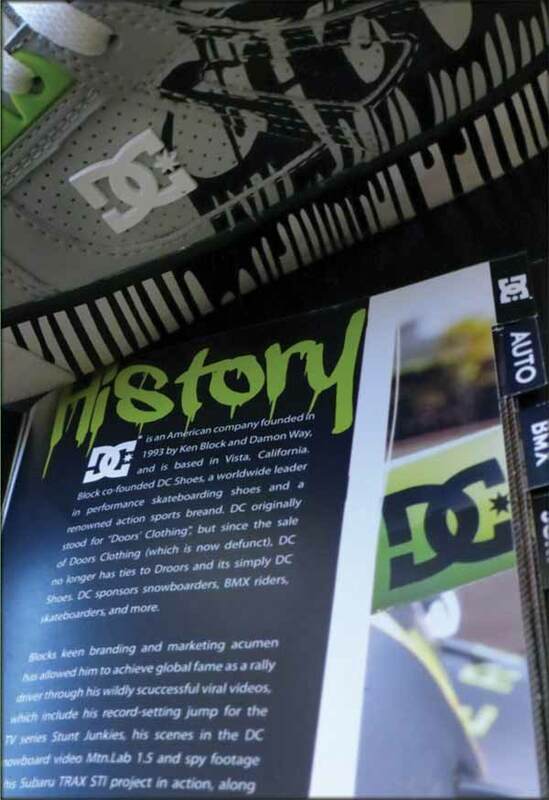 DC grew to become a leader in performance skateboarding shoes and a renowned action sports brand. Today DC stands as a global brand whose product line has expanded to include men’s, women’s and kids’ skateboarding and lifestyle shoes, apparel, snowboards, snowboard boots, outerwear, and accessories. Designed a twenty page catalog for DC Shoes. 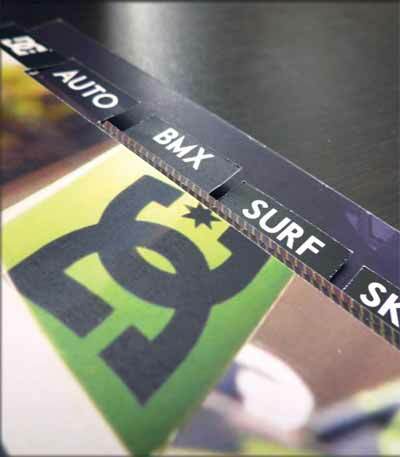 Includes duplexed sport category tabs with attached island spreads that display two products of each sport. Each page includes product information, shoes sizes that are available and fixed product angles of the shoes for a better visual.